I can’t believe I am even writ­ing this post. Plenty of peo­ple never thought the day would come. Well the kick­started goal was reached and the date has been set. 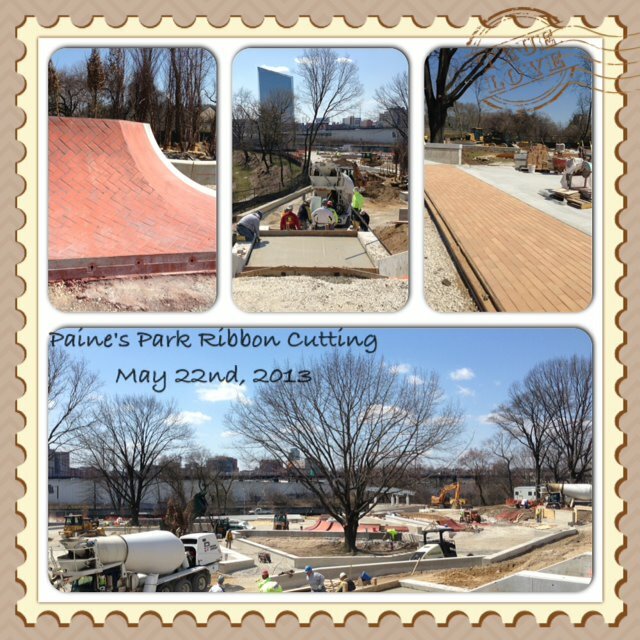 Paine’s Park Grand Openning is hap­pen­ning on May 22nd, 2013! Keep up to date with Franklin’s Paine on their face­book page. I’ll leave you here with this video where the guy from La Colombe says what most of us skate­board­ers have been try­ing to con­vince Philadelphia and the gen­eral pub­lic to believe in for well over a decade. PS: I’ll prob­a­bly end up call­ing it River Park because even though it is a nod to Thomas Paine, I don’t want to be reminded of the PAIN it took for so many to finally get this park completed. PPS: I’ve already seen peo­ple com­plain­ing about details of the park, like how it is a mixed use park and that it will be a dis­as­ter because all kinds of peo­ple will get in the way, etc. Save it. Love Park has seen skate­board­ers coex­ist with all kinds of peo­ple for years. If you hon­estly think that it being a mixed use park is going to be an issue, you’ve prob­a­bly never skated, or at least never enjoyed skat­ing Love Park. ←rarr; Spring Clean Up Day FDR Skatepark.